Not all rose scents were created equally. Some are fresh, crisp and modern; others musky, dated and powdery. 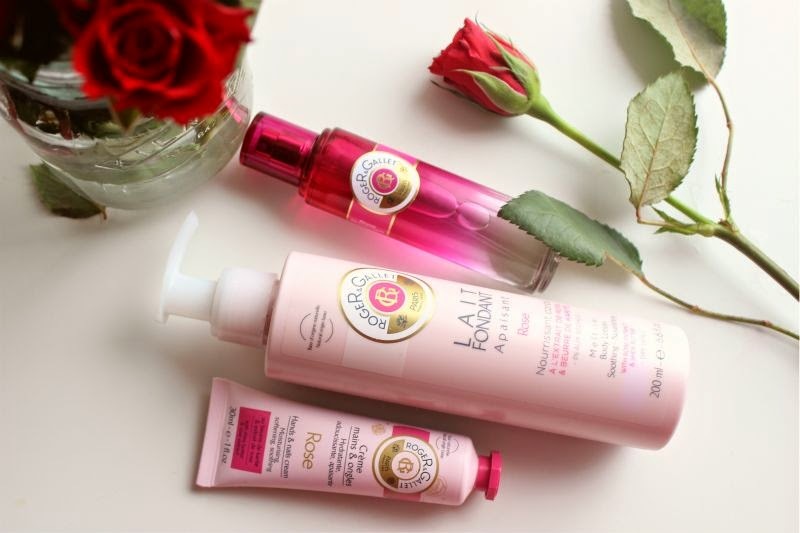 Luckily the Roger & Gallet Rose Imaginaire fragrance is the former, a light, bright and up to date floral that hits all the right notes (pun fully intended). With notes of strawberry, mandarin and violet - it is the rose fragrance to change your mind on how you view such pretty flower forever. "Discover the vision of a perfect rose with the Roger & Gallet Rose Imaginaire Fresh Water Spray, an elegant and relaxing fragrance for women. Made up of both classic and exotic notes, the scent reveals the secrets of the rose, a timeless expression of romance, delicateness, and magic. The poetic expression of a divine flower with a mysterious seduction. The top notes take you on a journey to the sun-drenched gardens of Sicily, with plump fruits that evoke the juicy freshness of a rosebud. In the heart, a journey to Egypt beckons, with soft and exhilarating notes of jasmine and violet. The base takes you on a final trip to Oceania, where Indonesian patchouli and sandalwood reveal the voluptuous nature of a rose in full bloom." 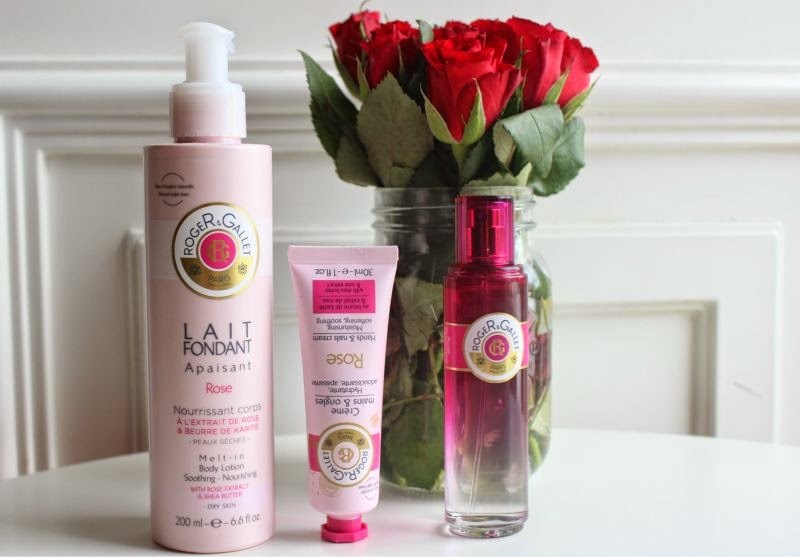 How would I describe Roger & Gallet Rose Imaginaire Fresh Fragrant Water (from £13.60)? Uplifting, sharp and I guess what most would deem a fruity floral. No it isn't your traditional red, rose scent at all, heck I would even say it is features more fruit notes than floral. Cacharel Amor Amor Eau de Toilette is the closest comparison I can think of off the top of my head. If you happen to like this type of scent then Roger & Gallet Rose Imaginaire is most likely something you will enjoy. In terms of longevity despite being closer to an eau de toilette than an eau de parfume it does linger on the skin for several hours and a full day on clothing which was a pleasant surprise. If you like to layer your fragrance to prolong the wear or intensify the overall scent you will be pleased to learn that there is coordinating bath and body products, such as the Roger & Gallet Rose Hand Cream (£5.10). This is a light yet creamy lotion that quickly absorbs into the skin, leaving the skin feeling soft and supple. As a side note this isn't overly fragranced meaning that should you eat with your hands you will not taste it! For the body there is Roger & Gallet Rose Melt in Body Lotion (£11.05) which does exactly what it says on the tin, A silky, soft consistency that instantly sinks into the skin leaving the skin feeling instantly hydrated. If you don't have the time nor patience to wait for a body product to absorb but want deep moisturisation this is the product for you. Again the fragrance is light but great for layering. This is one rose collection you won't mind waking up to on Valentine's Day that is for sure! I love rose scents so will check this range out, that hand cream reminds me of the l'occitane hand creams <3 lovely review! Ooh I am such a fan of anything remotely rosey so i'll definitely be trying this out! I have never heard of this brand, but these products sound great! These sound so lovely, I don't own many rose scented products so may have to purchase one of these! These look great, I would love to try them!! Love the scent of rose! This looks amazing! This seams to smell incredibly good. I really like rose sented product lately so I'll defenitely keep an eye open for this! Lovely review, been looking at Roger & Gallet for a while after reading this i think i should invest!